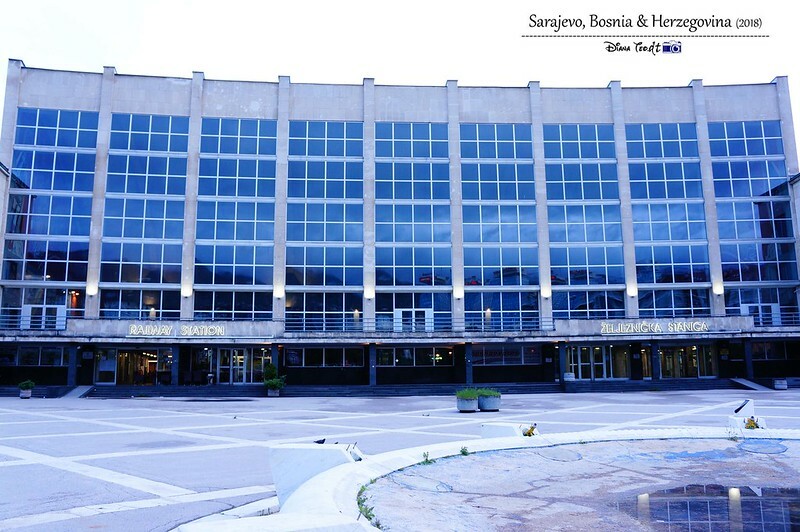 1) Visa - As for Malaysian citizens, visa is not required to travel to BiH for visits up to 90 days. 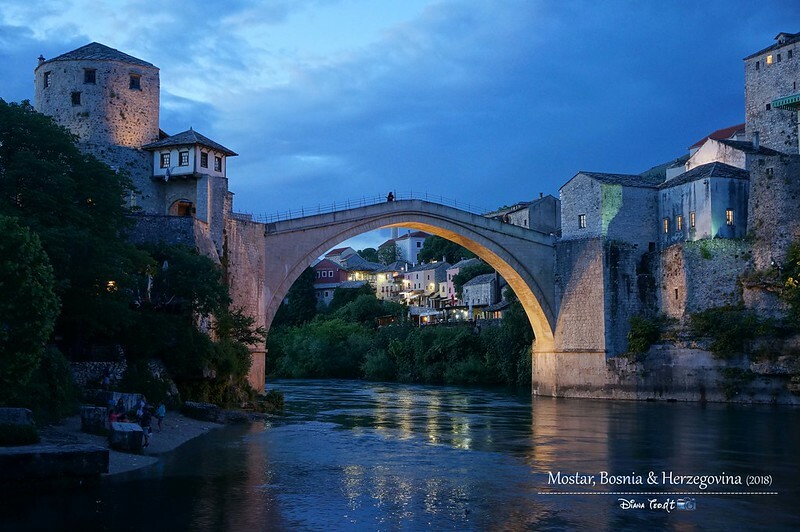 3) The most populated and visited cities of BiH which are Sarajevo and Mostar. 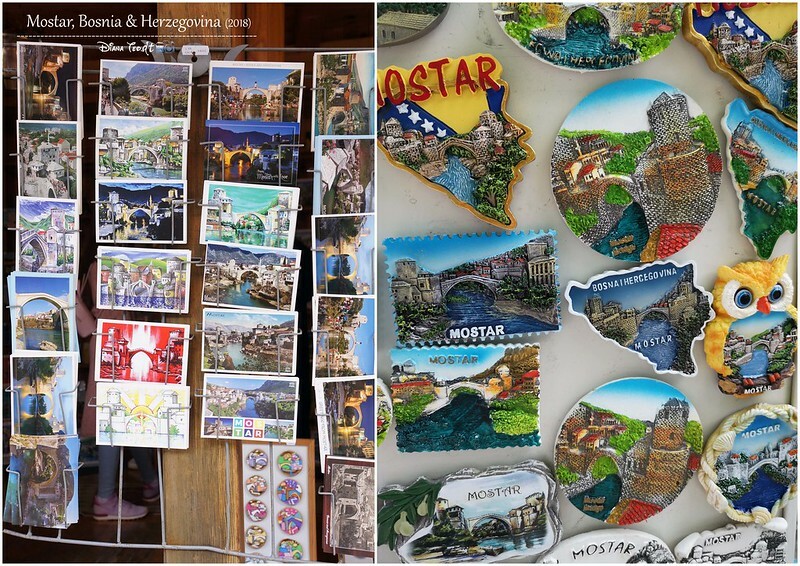 Since I done with my post on Sarajevo, so now I'm going to blog about Mostar. 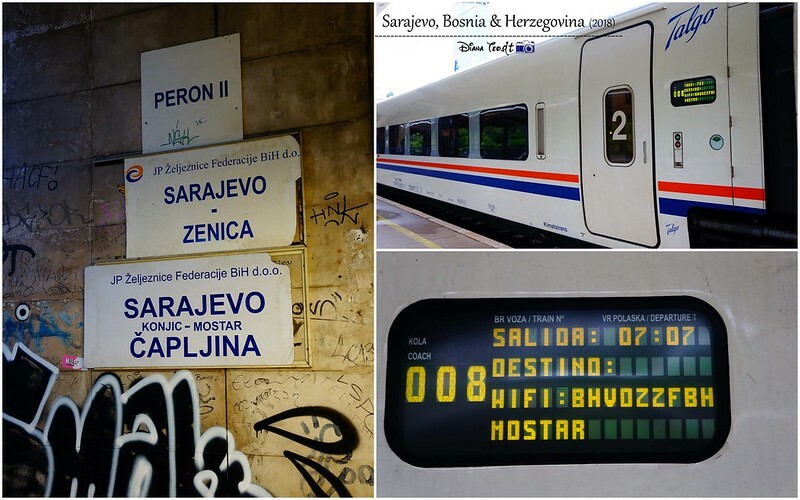 In order to get to Mostar from Sarajevo, there are two options available; either travel via bus or train. Initially I plan to take bus but when I realised the sun rose as early as 5am, at the end I decided ride on the earliest train. The reason behind it's because this train journey claimed to offer the best river scenery ever by most of the travellers who experienced it. 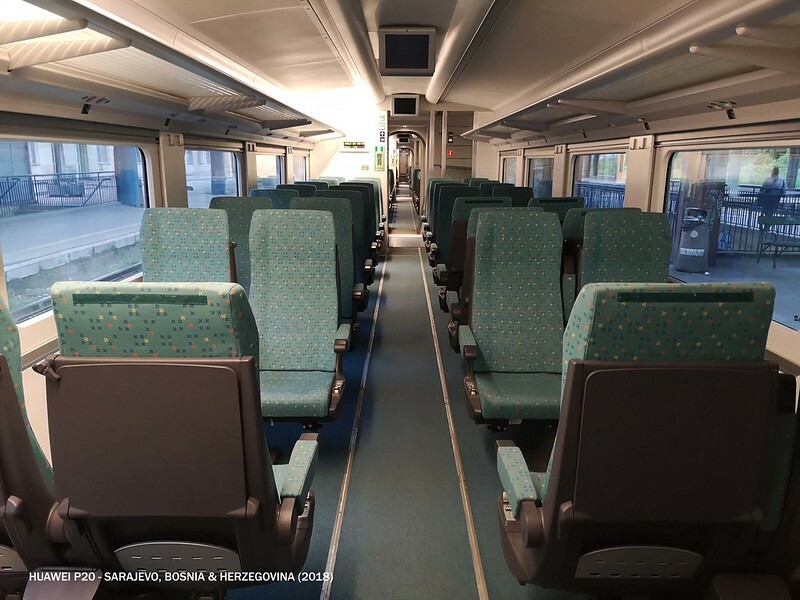 Currently, the train from Sarajevo to Mostar only runs twice daily; 7.07am and 4.50pm and the journey takes about 2 and half hours. 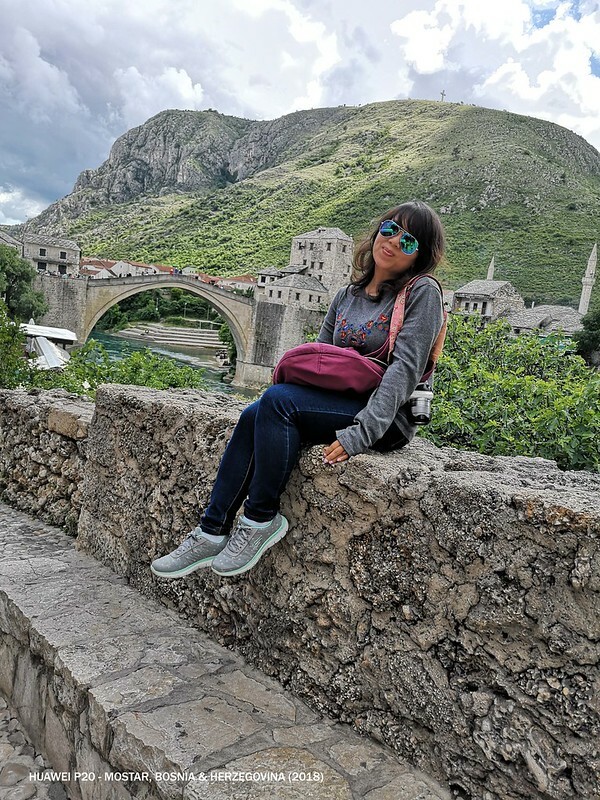 So either you give up your beauty sleep and wake up early to catch the first train or choose to arrive Mostar in the late evening by taking the last train - I rather opt for the first one. Early morning I walked out from my hostel which situated in the Old Town and headed to the nearest tram stop (Bascarsija or Katedrala) to catch the tram to railway station. 1) Tram #1 with the sign Zeljeznicka stanica. Hop off at the last stop and the rides take about 15 minutes. Unfortunately it only starts to operate after 7am which indicates that I might miss my train to Mostar. 2) Tram #3 with the sign heading to Ilidza. 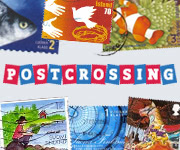 Hop at Tehnicka Skola and walk about 8 minutes to the railway station. The earliest tram starts at 5.43am. The earliest bird catches the worm. By the time I arrived the railway station, I can count the number of human beings using my fingers - like 5 or 6 only. I went to the counter and bought my ticket as it can't do so through online. Seat number was being assigned by the staff and you can't specially request for it. However from what I observed, you can ignore your reserved seat number and sit anywhere you like as long as it is vacant. And the best side to sit is on the left-hand side to witness the awe-inspiring view. I chosen to sit in the 2nd class cabin and it cost 12KM (approx. 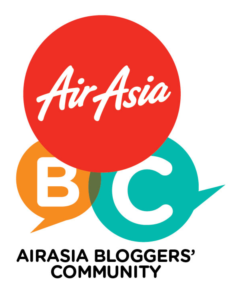 to €6/RM30). Initial fare supposedly to be 9.90KM but there is an additional fee of 2KM for the seat reservation fee. If you unable to catch the only two trains, fret not as you can catch the bus next to the railway station. You can check out the bus schedule and fares at Get By Bus (here). Shame to say that I snoozed off during the train ride. Not because I woke up too early but because I'm the type that easily fall asleep even on a moving vehicle. But I glad that I managed to catch a glimpse of the beautiful and awesome scenery outside of the train before arriving in Mostar. I was super excited when the train officer announced that we have arrived Mostar. 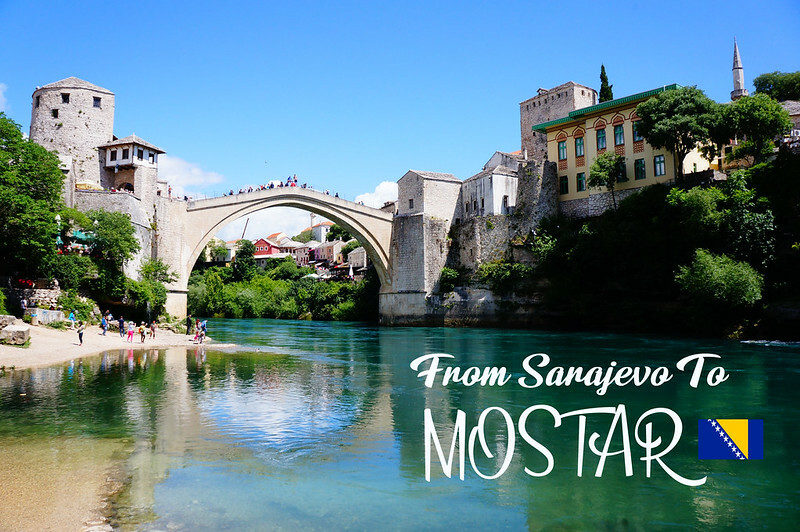 Frankly speaking, I was looking forward for this city more than Sarajevo, mainly for one reason - the Stari Most, which I will talk later. 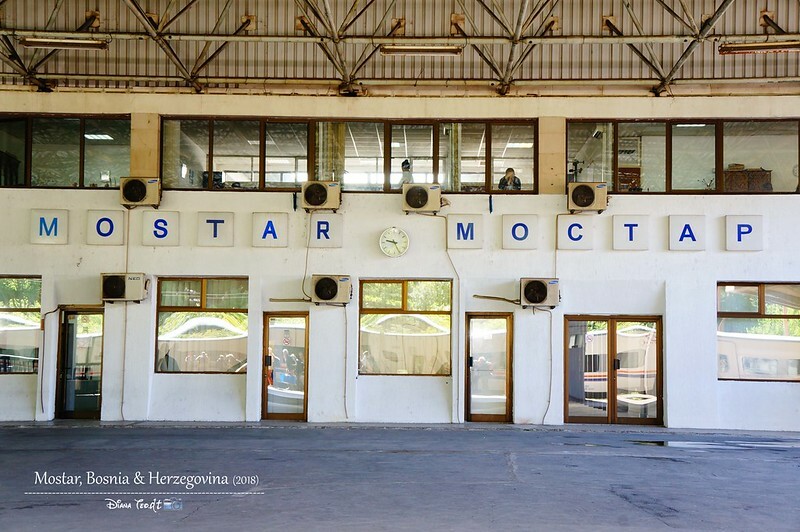 Mostar Railway Station is within walking distance to the historic old center, and that's where my hostel located. Initially I booked Hostel Dino but out of sudden, they cancelled my booking two days right before heading to Mostar. Keep calm! Keep calm! Immediately I looked for other and I found Hostel Mirror which is slightly cheaper than the initial one. 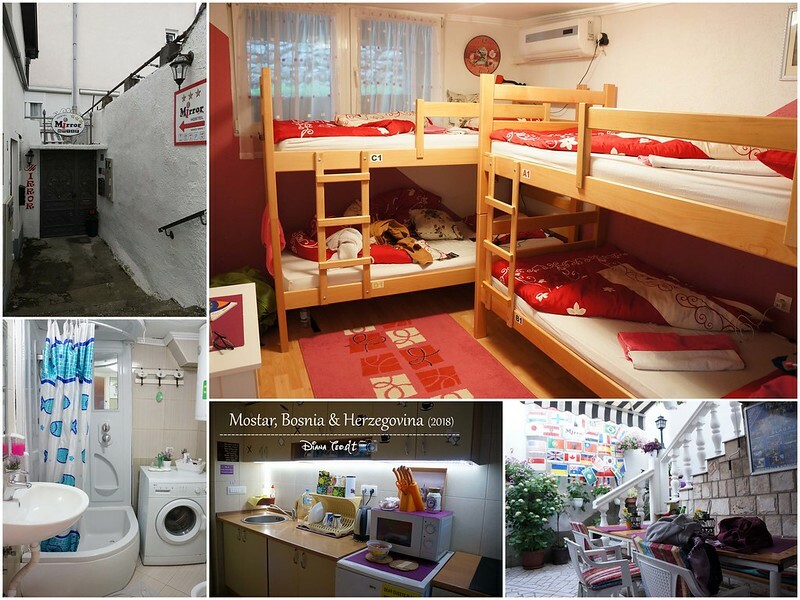 I can conclude that this is one of my favourite hostels throughout my Balkans trip. 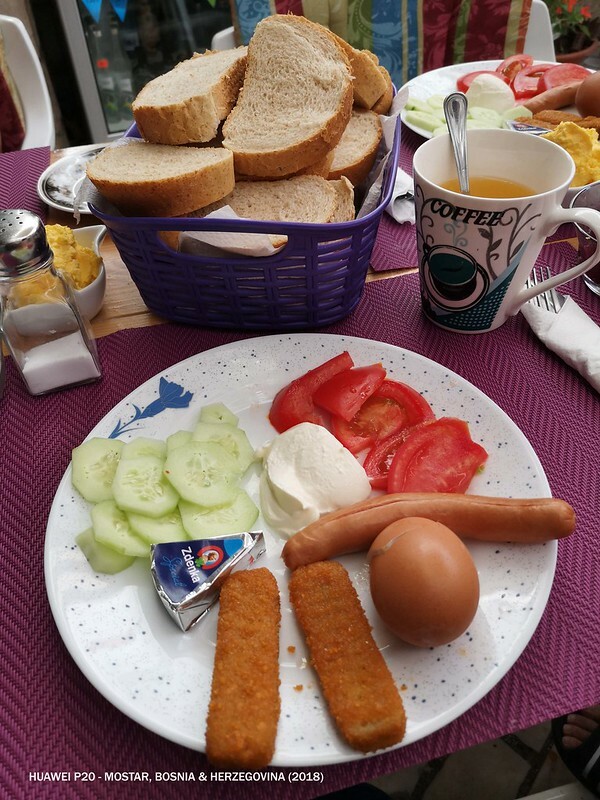 First, it's dirt cheap - imagine a night cost €8 only and it comes with homecooked breakfast (as per photo above). Secondly, the host was extremely friendly and warm-hearted. She remembered all her guests name and she made us feel like being at home. As for the location, it is 10 minutes walk to the old town as well as the old bridge. I guess this is another blessing in disguise when my initial booking was being cancelled but turned out I found another hostel with a super attentive and lovely host who takes good care of all her guests. 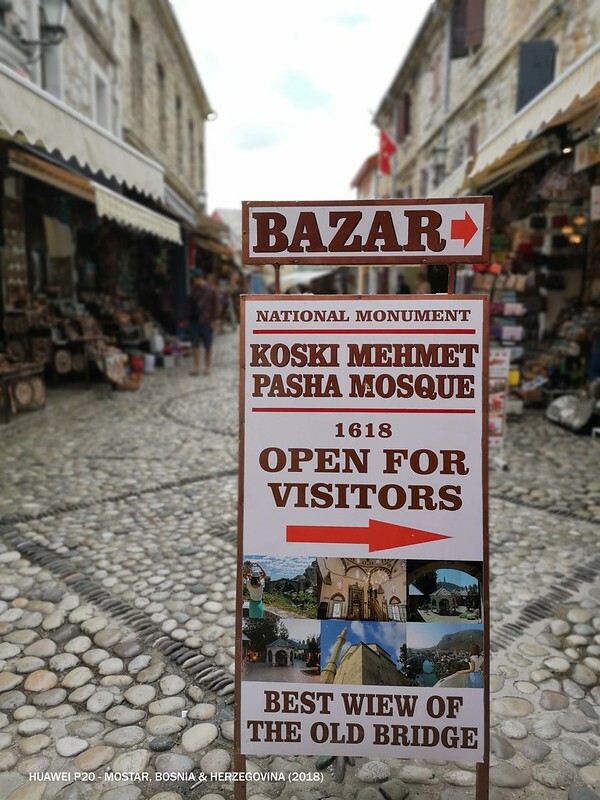 Absolutely highly recommended to stay when comes to Mostar! 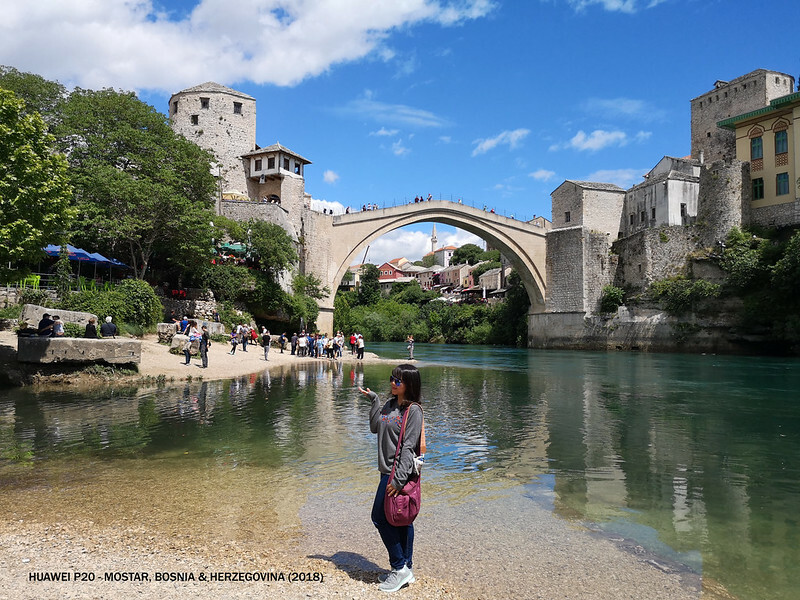 This hump-backed stone arch bridge is the iconic landmark of Mostar and it is listed in the UNESCO World Heritage Site. Originally built in 1566, but it was destroyed in 1993 due to devastating civil war and took more than 10 years to rebuild and reconstruct. 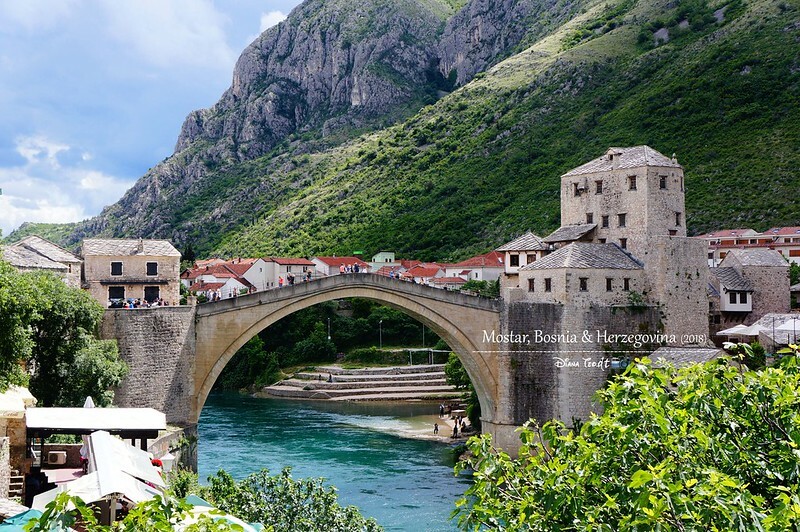 At here, you will frequently see the members of the Mostar Diving Club dive off from the bridge into Neretva River once they collected sufficient of fund from the tourists. I managed to wait and watch at least two divers jumped off from the bridge while taking photos of the bridge. 1) At the beach nearby the banks of the river. This is my favourite spot because not just it's free, but I also able to capture myself along with the bridge. Well, at least to prove I've been there right? Plus this spot is less crowded with tourists and you can stand there as long as you want. How to get there? 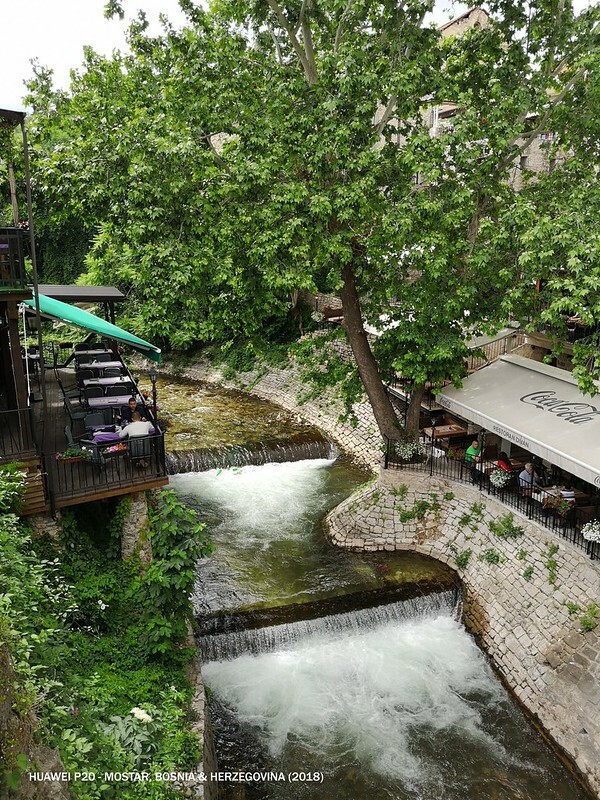 Try to search for Pansion Villa Cardak and when you found it, walk behind the villa and you will see Neretva River soon. 2) From the streets of the old town. I didn't realise about this while walking back to my hostel until a beautiful tourist asked whether can I help to take photos for her. 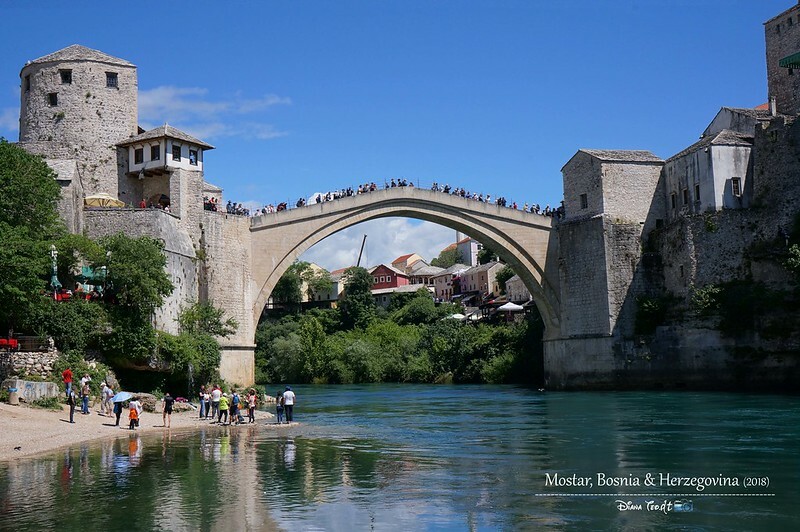 Only from there, I noticed this is another spot where you can take a nice shot of Stari Most. 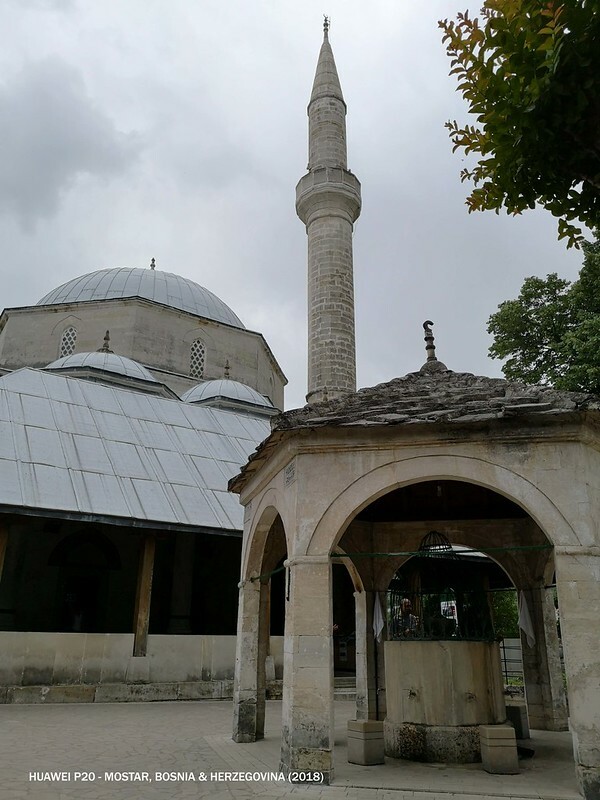 3) From Koski Mehmed-Pasha Mosque. It's not free by the way and you must pay a fee of 12KM or €6 (approx. to RM30) in order to go up and get the great view of the Old Bridge and the entire town. 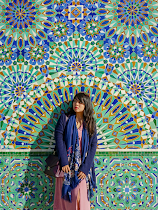 This fee also inclusive a visit to the mosque and minaret. But being cheapskate me, I skip this one since I already got two best spots earlier. What else can I say? Always my favourite place to visit in almost all the cities of Europe countries I've been. A place for me to dine-in or grab a gelato, a place for me to purchase souvenirs like magnets and postcards, and also a place for me to explore and understand the respective city. This is where I had my lunch by the riverside. It's so serene and peaceful here. 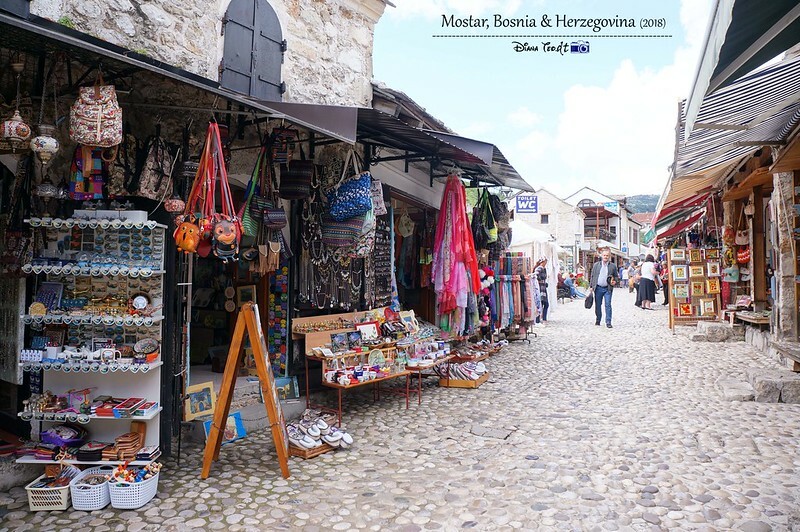 Conclusion, try to spend at least a night or two in Mostar rather than just do a day trip there. 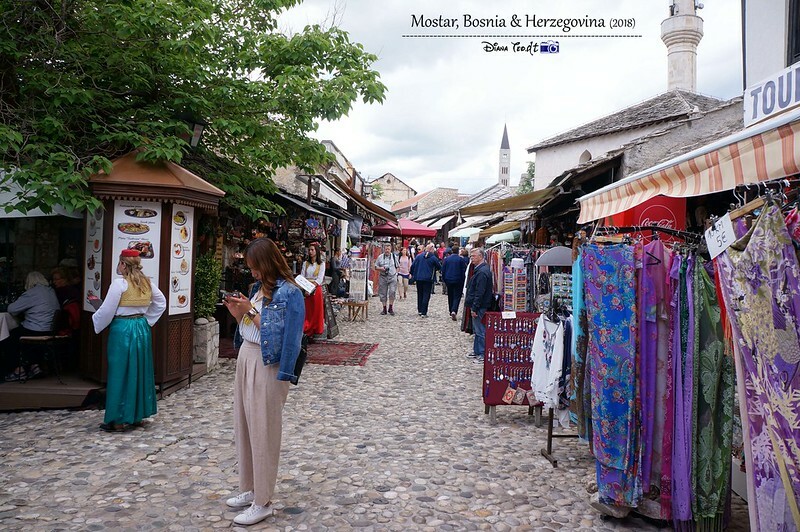 This charming little town is really worth for visit, especially if you are looking for a peaceful and laid-back atmosphere. 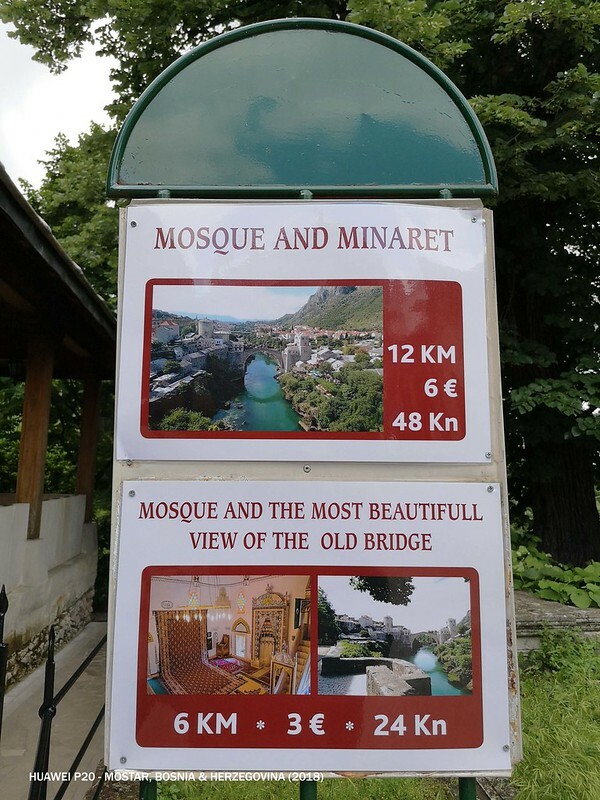 Mostar bridge is amazing. Love all the photos. The hostel looked decent enough to me. Cannot complain much at such price.